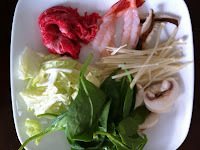 shabu shabu | what is clara eating today? 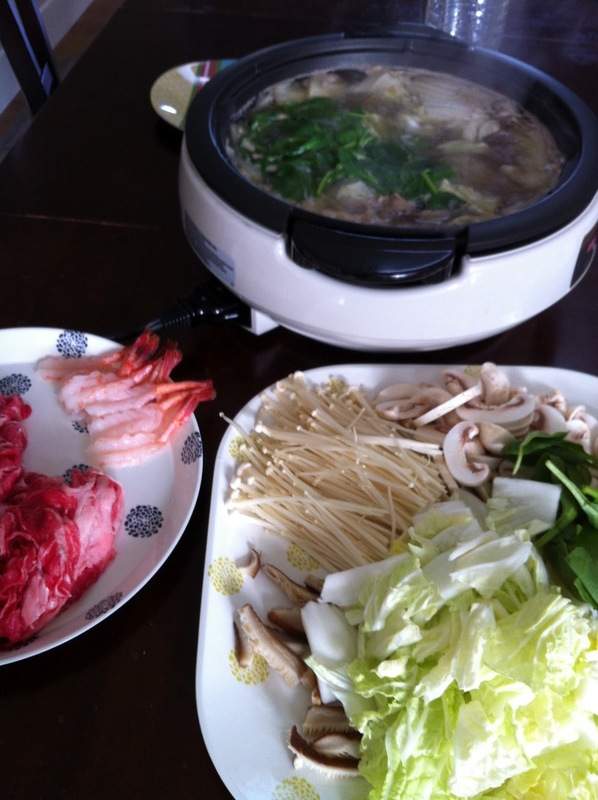 clara likes to eat same thing as rest of the family, so sometimes we make shabu shabu so we can all enjoy them together. the only problem is that there isn’t enough fat unless she finishes the sasame oil sauce. So sometimes we have to give her ice cream or chocolate pudding afterwards. I am not giving exact recipe here, just an idea, since you can get creative with this. 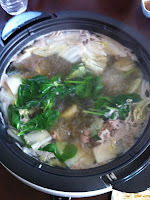 for soup base, boil water with bonito flakes(can be found in japanese or korean store), soy sauce, salt to taste. strain out the bonito flakes to get clear soup. as you boil the soup base on tabletop stove, put ingredients for 1-2 minutes before eating.